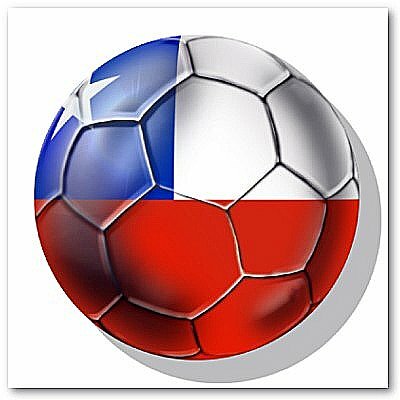 1962 World Cup was hosted by Chile. 1962 Soccer World Cup in Chile had Brazil successfully defend their title and also show the world that Brazil was rising up and considered to be one of the best football/soccer nations for many years to come. Brazil side arrived to Chile as the absolute favorite with stars Pele, Garrincha, Amarildo, Vava and Zito leading the squad and being considered best players in the world at the time. Brazil lost their no. 10 "Pele" in the opening match against Mexico to a thigh injury. Pele scored a goal in that match but would have to watch his team defend their title from the sidelines. This allowed the winger Garrincha to take the spotlight and also earn a nickname "Little Bird" in the papers during 1962 World Cup. Garrincha was described as "The most extraordinary right winger Football has ever known" by the newspapers around the world. This World Cup also staged one of the ugliest matches in the history of Soccer World Cup's during the first round between Chile and Italy. Italians Giorgio Ferrini and Mario David were sent off with red cards while the Italian Umberto Maschio would walk away with a broken nose due to a punch from Chilean Leonel Sanchez to which Italian Giorgio Ferrini retaliated with a neck-high kick on Leonel Sanchez and in doing so was sent off from this bloody, dramatic, frustrated and everything else except soccer/football match. BBC called it "The most stupid, appalling, disgusting and disgraceful exhibition of football". Another thing worth mentioning in 1962 World Cup is the game between Spain and Brazil where Spain needed a win to advance and would have the lead until very late in the game when Brazilian Amarildo scored 2 goals in 4 minutes to knock Spain out of the tournament. Brazil successfully defended their World Cup Title in the final game against Czechoslovakia. Bulgaria, Czechoslovakia, England, Germany, Hungary, Italy, Soviet Union, Spain, Switzerland, Yugoslavia, Mexico, Argentina, Brazil, Chile, Columbia, Uruguay. Soccer is by far the most popular sport played around the world. Hello and welcome to my list of World Cup winners and the complete results of every World Cup game going back to 1930 when the first World Cup was held in Uruguay. 2010 World Cup was held in South Africa from June 6th until July 7th, 2006. 2006 World Cup was held in Germany from June 6th until July 7th, 2006. 2002 World Cup was held in Korea/Japan from May 31st until June 30th, 2002. This years tournament was brought back to the home of Jules Rimet, father of the FIFA World Cup. 1994 World Cup was held in United States from June 17th until July 17th, 1994. This would be one of the world cups that was low on goals and high on drama. This world cup was also the lowest scoring tournament so far with only 115 goals scored in 52 matches. Columbia was the first choice to host this world cup, however due to financial reasons Columbia had to back out and the hosting of this years tournament went to Mexico. Brazil was the favorite to win it with the dream team midfield consisting of world class players such as Zico, Falcao, Socrates and Eder but to everyone's surprise Brazil would be knocked out by the underdog Italy in the second round. Dutch Johan Cruyff and German Franz Beckenbauer were missing from this world cup with Beckenbauer retiring from International Soccer/Football and Cruyff not showing up with the Dutch squad, which came as a surprise to everyone. With Pele retired, spotlight was taken over by Netherlands Johan Cruyff and German Franz Beckenbauer, player who revolutionized the libero role on the field. This is the first tournament that would be broadcasted in color around the world allowing millions of people to watch some of the most amazing soccer/football in the history of this great game. England menager Alf Ramsey said confidently that this was Englands year to win the Jules Rimet Cup. After it was all played and done, Ramsey would not be wrong. It was a tournament where Brazil would successfully defend their title and also show the world that Brazil was rising up and considered to be one of the best football/soccer nations for many years to come. This is the historic event where, than 17 year old Pele would be seen for the first time in the most competitive soccer event ever held. This World Cup would have the most surprising ending of all the World Cups in the history of this great tournament. 1950 World Cup was the tournament that brought everyone together after the grueling and bloody World War II was finished. 1938 World Cup tournament was the last World Cup before the cold and bloody World War II and France had the honor of hosting it. 1934 World Cup was hosted by Italy. Uruguay hosted the first World Cup in the history of soccer/football in July, 1930.